Drinking smoothies, especially for breakfast is a great way to fuel your day, with many of the recommended daily fruits and vegetables for your body needs. Fruit smoothies are great and most of us would go that route because, fruit smoothies are much more palatable than vegetable smoothies. Also, be careful in consuming your fruit smoothies because, they can add up the calories very quickly and for those who need to watch their sugar intake, a fruit smoothie can push your blood-sugar to the limit, especially if you use added sugars, such as agave or stevia. On the other hand, vegetable smoothies, which are mostly green, taste as a young child would exclaim, YUCKY! But, there are some solutions to these issues. Vegetable/Green Smoothies gives us a large portion of our daily vitamins and nutrients, but the taste, WELL YOU KNOW! While fruit smoothies which also have vitamins and nutrients bring on that awesome flavor most of us desire. So, to get the best of both worlds, when making healthy smoothies, experiment a little. Mix different fruits and veggies until you find what you like. In most cases, a vegetable smoothie with either apple or pineapple for flavor will do, but again find what works for you. Here are a couple of my favorites: Kale greens, ginger, lemon, pineapple and yogurt. (The yogurt is for creaminess). Any leafy greens, banana, ginger and ice, will do. And this would be one of the healthiest smoothies you can make – Baby spinach, beets, ginger, celery and plain yogurt! The Holiday Season Is Here!!!!!!!!!!!! Here is a great healthy holiday salad, sure to please! Banana, mango, papaya, yellow capsicum, peaches, pineapple, squash, passion fruit, white grapefruit, lemons, pomelo. Follow the Healing Chef on Face Book! 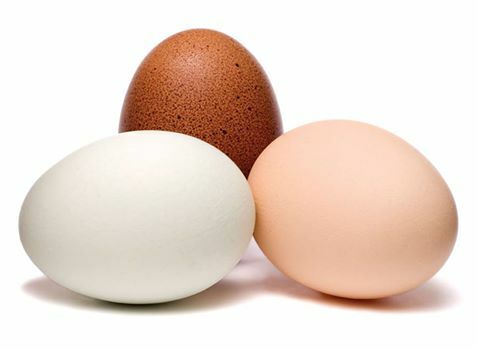 All B vitamins are found in eggs, including vitamins B1, B2, B3, B5, B6, B12, choline, biotin, and folic acid. Choline is a standout among these B vitamins. In fact, eggs rank higher in choline than many other foods. In the U.S., an average diet provides about 300 milligrams of choline per day - less than the recommended amount for an adult woman (425 milligrams) or an adult man (550 milligrams). Since one egg provides over 100 milligrams of choline and only 75-80 calories, it provides far more choline for far less calories than most other choline-rich foods. 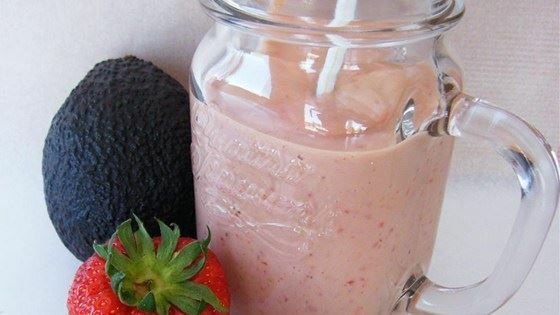 ​Here's an easy to make smoothie, that's full of nutrition and taste great! Avocados are full of fiber, vitamin B6, E, K and C, plus potassium. These nutrients make avocados good for cardiovascular support. Strawberries are a valuable source of antioxidants, along with avocado's they are two of the healthiest foods out here. Strawberries are extremely high in vitamin C and manganese, along with many other vitamins and nutrients. Which together make strawberries great for, blood sugar benefits, inflammation, cardiovascular benefits and much, more. So this is a powerhouse of a smoothie!!! We're coming up on that time of year again, family! Starting your plants indoors now, will usually give you an earlier harvest once your plants have been replanted outdoors in the ground. Backyard gardening can inspire you to take interest in the origins of your food and make better choices about what you eat. When you grow your own food, you savor it more because of the effort you put in, to get it to the table. 1) It helps you eat more fresh/organic fruits and vegetables. 2) You decide what kinds of fertilizers and pesticides you use, if any at all. 3) It also lets you control when to harvest your food for maximum nutritional value! I was raised in a home, where more times than not the greens on our table were Collards. On Holiday’s such as, Thanksgiving and Christmas, sometimes for New Years and probably 20 other occasions a year, we had collard greens. Over the years, as I developed as a professional chef, I was watching as this green called KALE, was rising to stardom. Unaware to me at the time, most people weren’t just eating KALE because it tastes good, but it was also packed full of much needed nutrients our bodies needed. And now we have what nutritionist all over the world and restaurant professionals are calling, “The Queen of Greens” all hail to the KALE. A nutritional powerhouse! Kale can provide you with some special cholesterol-lowering benefits if you will cook them by steaming. The fiber-related components in kale do a better job of binding together with bile acids in your digestive tract when they've been steamed. When this binding process takes place, it's easier for bile acids to be excreted, and the result is a lowering of your cholesterol levels. Raw kale still has cholesterol-lowering ability—just not as much. Kale is high in iron – per calorie. Kale has more iron than beef. Iron is essential for good health, such as cell growth, proper liver function and transporting oxygen to various parts of the body. Kale is also a low calorie food, high in fiber and has zero fat. It is one of nature’s or should I say, God’s greatest foods for aiding in digestion and constipation, because of the fiber content. Kale's cancer preventive benefits have been clearly linked to its unusual concentration of two types of antioxidants, namely, carotenoids and flavonoids. Within the carotenoids, lutein and beta-carotene are standout antioxidants in kale. 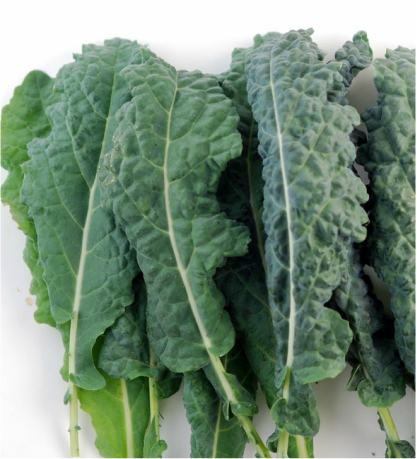 Researchers have actually followed the passage of these two carotenoids in kale from the human digestive tract up into the blood stream, and they have demonstrated the ability of kale to raise blood levels of these carotenoid nutrients. That finding is important because lutein and beta-carotene are key nutrients in the protection of our body from oxidative stress and health problems related to oxidative stress. With all these health benefits in mind, consumers should be rushing to the store to stock up on Kale, and not just that, but also learning new and different ways to prepare them. Most people boil greens of all types in pots of water for hours at a time, and that’s ok if you plan on drinking the pot of green water later. Grandma and them used to call this, pot liquor and made us drink a little every day when we had colds because Grandma knew all the nutrients had infused into the water during cooking. That’s why when boiling greens in water; the water turns green because all the color, nutrients and some of the flavor is in the water. There are many different ways to prepare this delicious and nutritional vegetable, and here are just a few of them. I encourage you to look up recipes for any of these great menu ideas, and at the bottom of this article I’ll leave you with a recipe! Cook the bacon in a skillet. When it’s crisp remove from the pan and drain grease; then wipe with a paper towel to remove any excess grease. Pour in a teaspoon of olive oil and place the chicken in the skillet. Salt and pepper the chicken and cook until done. Remove from the skillet and place with the bacon. Place a large pot of water on the stove to boil for the pasta. Add the garlic to the skillet and cook for 1 minute, then add the kale and cook until wilted. Add the chicken broth and cook for about 10 minutes, until the kale is very soft. Cook the pasta and drain, but do not rinse. Place it back in the pot and toss in the kale mixture and fontina, stir to combine. Add the chicken and bacon and serve. Makes 4 hearty servings. Cilantro is a very popular Mediterranean herb, which is commonly known by a variety of names, because it also produces a seed called Coriander. So this fantastic herb has been called, Chinese parsley, cilantro seed, coriander leaves and just coriander for the seeds and cilantro for the leaves. No matter what you decide to call it or the form you decide to use, both the leaf and seed have lots of benefits to offer. The Cilantro plant reaches about 1 to 2 feet in height and features dark green, hairless, soft leaves that vary in shape; broad-lobed near the base, and slender and feathery higher up near its flowering stems. The leaves and stem possess slightly citrus flavor. The plant bears umbels of small white or light pink flowers in midsummer, followed by round-oval shaped aromatic seeds. These coriander seeds are yellowish brown in color with vertical ridges and have a flavor that is aromatic, sweet and citrus, but also slightly peppery. Cilantro herb is very low in calories and contains no cholesterol. However, its deep-green leaves possess good amounts of antioxidants, essential oils, vitamins, and dietary fiber, which help reduce LDL or "bad cholesterol" while rising HDL or "good cholesterol" levels. The leaves and stem tips are also rich in numerous anti-oxidant polyphenolic flavonoids such as quercetin, kaempferol, rhamnetin, and epigenin. The herb is a good source of minerals like potassium, calcium, manganese, iron, and magnesium. 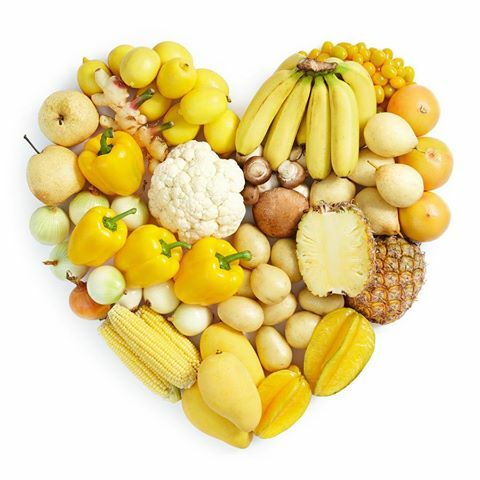 Potassium is an important component of cells and body fluids that helps control heart rate and blood pressure. Iron is essential for red blood cell production. Manganese is used by the body as a co-factor for the antioxidant enzyme, superoxide dismutase. It is also rich in many vital vitamins, including folic-acid, riboflavin, niacin, vitamin-A, beta carotene, vitamin-C, which are essential for optimum health. Vitamin-C is a powerful natural antioxidant. 100 g of cilantro leaves provide 30% of daily recommended levels of vitamin-C.
Cilantro is one of the richest herbal sources for vitamin K; provide about 258% of DRI. Vitamin-K has a potential role in bone mass building by promoting osteotrophic activity in the bones. It also has established role in the treatment of Alzheimer's disease patients by limiting neuronal damage in their brain. Don’t let this little herb fool you! Cilantro leaves provide only 23 calories/100 g, but their phyto-nutrients profile is no less than any superfoods around us! The herb parts (leaves, root, and stem) of the cilantro (coriander) plant have been found to have anti-septic and carminative properties. The herb contains many phytochemical compounds; phenolic flavonoid antioxidants like quercitin and essential oils have found application in many traditional medicines as analgesic, aphrodisiac, antispasmodic, flatus-relieving (carminative), depurative, deodorant, digestive, fungicidal, lipolytic, stimulant and stomachic. (Medical-disclaimer). Coriander seed oil has been found application in many traditional medicines as analgesic, aphrodisiac, anti-spasmodic, deodorant, digestive, carminative, fungicidal, lipolytic (weight loss), stimulant and stomachic. Fresh leaves should be washed thoroughly in water in order to remove sand and dirt and to rid off any residual pesticides. While in the kitchen, it is generally used just before preparing recipes in order to keep the fragrance and aromatic flavor intact. Cilantro (coriander) leaves has been used in preparation of many popular dishes in Asian and east European cuisine since ancient times. When added in combination with other household herbs and spices, it enhances flavor and taste of vegetable, chicken, fish and meat dishes. The herb has also been used in the preparation of soups, and sauces. Popular Mediterranean cilantro pesto uses fresh cilantro, red pepper, garlic cloves, olive oil,pumpkin seeds with few drops of lemon juice, is a great addition on pasta, in sandwiches or as a marinade to fish, poultry...etc dishes. Freshly chopped and sautéed coriander leaves are a great addition in green salad. Coriander seed powder is one of the main ingredients used in the preparation of curry powder. Since it is highly perishable, fresh coriander should always be stored in the refrigerator. If possible, it should be stored with its roots still attached by placing the roots in a glass of water and covering the leaves with a loosely fitting plastic bag. If the roots have been removed, wrap the coriander leaves in a damp cloth or paper towel and place them in a plastic bag. Whole coriander will last up to one week, while coriander leaves will last about three days. Hello SoLo Parenting family, Healing Chef Carlton is here! Our health is one of the most important things we can focus on in this life. Unfortunately many of us don’t know the do’s and don’ts to maintaining a healthy lifestyle. America is the most over weight, as well as the sickest nation on the planet. Obesity, Cancer, Heart Disease, Arthritis and Diabetes just to name a few have literally plagued our nation, and we have accepted these ailments as a regular part of life. This is truly sad, because it doesn’t have to be this way. Listen, it’s all about money folks. In the United States, some farmers, parts of our government and certain individuals of our scientific community, have figured out ways to mass produce the foods we eat and create ways of manufacturing processed foods that last longer on store shelves but are actually killing us from the inside out. Years ago, before the mega grocery stores we see today, generations of people were eating right off the farm. They bought fresh meat from butcher shops and many families grew their own fruits and vegetables, back then it was called “fresh”, today we call it “organic”. Organic foods are produced using methods that do not involve modern synthetic inputs, such as pesticides, chemical additives or chemical fertilizers. While the difference between organic foods and conventionally grown foods are virtually the same, in taste. There is a major difference in terms of safety, mainly because of what the chemical pesticides, fertilizers and additives, and what they do to our bodies. 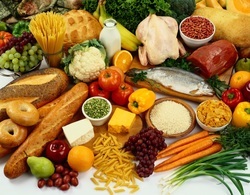 Now, the foods we eat are not the only reason we suffer from so many ailments, illnesses and sicknesses. A lot of the medications we take are just as harmful. First, we consume too much of the wrong foods over a long period of time. Then the additives and preservatives in the foods start to negatively work on our bodies, so we go to the doctor, who prescribes us a pill regimen or some other medication that sometimes works and sometimes doesn’t. What’s really bad here is the fact that even if the meds work correctly and fix what they are supposed to, there’s a boat load of side affect that can cause us many more unnecessary problems. So, to rectify all of this let’s start making better food choices. Foods can heal, make no mistake about it. There’s an old saying, “You are what you eat”, and this is not just something to say, it’s true. When you’ve been eating a certain way your entire life, change sometimes takes a while. So let’s start slow, this is not a quick fix to someone’s health problems, family, this is a lifestyle change but you can do it. Begin by joining The Healing Chef on Facebook, we have a group page and a fan page, there’s tons of information to get you started on what’s comfortable for you. Then start implementing small changes in your diet and life. Such as, drink more water, for men it should be at least 3 liters per day and for women at least 2.2 liters per day. You can always drink more that’s not a problem. Make some adjustments in your snacking from candy, cookies and soda on a regular basis to apples, nuts and carrot sticks on a regular basis. Don’t get me wrong folks, I still enjoy my comfort foods and snacks also, but they are kept to a bare minimum and far, few and in between. The struggle is over; it’s time to take back our bodies and our lives. Won’t you join me, as I “EAT TO LIVE, NOT LIVE TO EAT”.